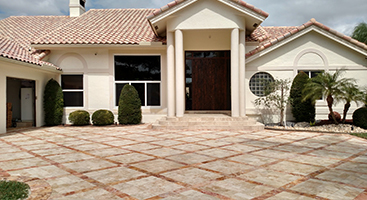 We offer many options to enhance the appearance of your brick pavers or natural stone as well as protect them from ultraviolet fading, erosion from rain, and deterioration from excessive mold or mildew. We also specialize in the removal of failed coatings and sealers. All of our stone restoration work is warrantied because we use only the best products, and our procedures are above and beyond any in the industry. 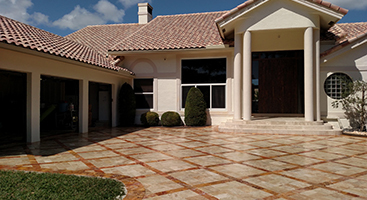 Call today to speak to a highly experienced enhancement specialist to discuss driveway cleaning, patio cleaning, and more options for your property.